A credit card protection firm has been fined a record £10.5 million after it mis-sold products such as identity theft cover to thousands of customers. CPP has also agreed to pay an estimated £14.5 million in compensation to customers after the Financial Services Authority (FSA) found widespread mis-selling of products between January 2005 and March 2011. The company told customers they would benefit from up to £100,000 of insurance cover, even though this was not needed because they were already covered by their banks. The FSA added that CPP sales agents were overly persistent with potential customers and were even given targets for dissuading people who contacted CPP to cancel their products. Tracey McDermott, the FSA's director of enforcement and financial crime, said: "While CPP's products were relatively inexpensive, they were sold widely and CPP encouraged its sales agents to be overly persistent. This exposed a very large number of customers to the unacceptable risk of buying products they did not want or need." She said the company failed to heed earlier warnings that it might be misleading customers about a feature of card protection from which customers were unlikely to benefit. The fine is the FSA's joint largest penalty for a retail matter and would have been £15 million if CPP had not agreed to settle at an early stage. CPP sold card protection and identity protection through its own sales channels or through a partner such as a high street bank. 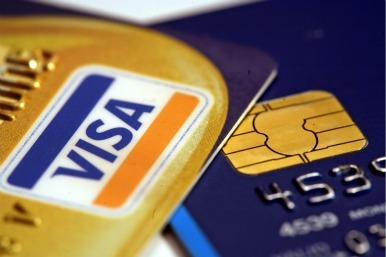 Card protection cost about £35 a year while identity protection was about £84. In total, CPP sold 4.4 million policies and received £188.3 million in customer payments. Some partners introduced customers to CPP by affixing a sticker to new credit or debit cards that prompted the customer to call a number, which was CPP's, either to activate the card or confirm that they had received the card. When the customer did ring the number, CPP used the opportunity to offer card protection and identity protection. New CPP chief executive Paul Stobart said the company had taken steps to overhaul its practices. "We are deeply sorry for the errors and wrongdoings of the past and are paying a heavy penalty through what is a large fine," he added.